Malonie Langthorne is an Indigenous woman from the Gitanmaax First Nations located in Hazelton BC. Malonie has been residing in the Fraser Valley with her two teenage children for the past 20 years. Malonie has spent the majority of her career dedicated to the pursuit of life long sustainability of Indigenous people and has over 20 years in the Not-for Profit and Business sector. Malonie has an extensive background in Economic Development, Education, and Employment and Training. Malonie was employed by Métis Nation British Columbia for over 10 years as the Director of Employment & Training, as well as the Director of Economic Development and eventually moved into the role as Chief Executive Officer in 2009. 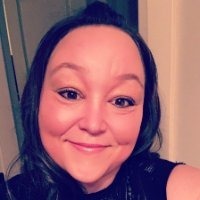 In 2011, Malonie left the organization to pursue her dream of starting a consulting firm and now operates as the CEO and President for Langthorne Consulting Services and is the current Economic Development Officer for Sumas First Nations located in Abbotsford British Columbia. ​Malonie joined the SCF Board on July 18th, 2017.